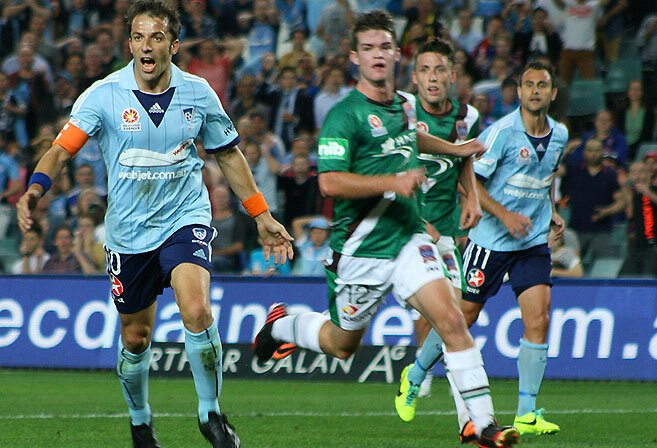 The A-League needs marquee players, but at what cost? Andres Iniesta seems about as likely to end up in Australia as Cristiano Ronaldo, but that doesn’t mean A-League clubs shouldn’t consider marquee players. There has been some confusion over who exactly is stumping up the $3 million on offer for next season’s so-called marquee ‘war chest’, however AAP journalist Vince Rugari stated on Twitter that the funds will come from Fox Sports as part of their broadcast deal. Some fans have already suggested Fox holds too much sway over the competition, but the reality is that without the host broadcaster, there’d be no A-League to begin with. And an extra $3 million to spend on some star players is nothing to sniff at. The only problem is it’s barely enough to buy even a half-decent house in Sydney, let alone sign some of the world’s most recognisable footballers. 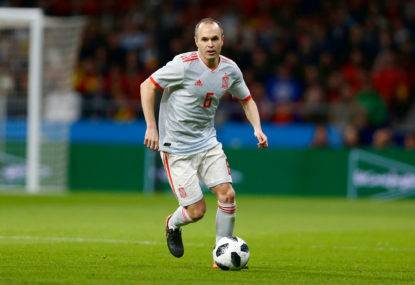 That fact was brought into sharp relief by the news that Rakuten-backed Vissel Kobe – the Japanese e-commerce giant also sponsor Barcelona – are willing to pay Iniesta an astronomical $AU40 million per season to move to the J.League. Perhaps Iniesta could just find himself some cheaper digs in Gosford instead? Or maybe A-League clubs will just have to keep being creative when it comes to trying to lure foreign talent to our shores. Which makes it hard to understand why so many clubs are so hell-bent against implementing the 4+1 rule to ensure one visa player comes from Asia. Not only is it a slap in the face to the Asian Football Confederation, it smacks of a desire to preference lazy recruiting over employing some scouts and actually figuring out who’s who in Asian football. Want the name of a single Asian player who could do a job in the A-League, without costing the earth and who has the potential to turn into a cult hero? But figuring out who Havenaar is, let alone picking up the phone and having a chat with him – he speaks English, of course – would require an A-League coach to do more than simply throw their hands in the air and exclaim “it’s all too difficult”. So it’s surprising more A-League clubs haven’t made use of Lou Sticca’s services and his extensive contact book. Sticca, of course, is the agent who brokered the deal to bring Alessandro Del Piero to Sydney FC, and he followed that up by procuring Shinji Ono for the Western Sydney Wanderers for good measure. He knows what it takes to get star players to Australia – Sticca was also behind Dwight Yorke’s move to Sydney FC – and I asked him a short while ago what needs to be done to help revitalise the A-League. “A-League club owners need more control over their investment, and the much-discussed independent A-League must become a reality,” Sticca told me. “Once owners feel they have more say in their own future, and crucially more of the revenues that the A-League generates from TV and merchandising, then they will regain the confidence to invest more into their clubs and teams. And when it comes to marquee players, Sticca believes we haven’t seen enough big names down under. And the scattergun approach to signing marquees shows no sign of dissipating now that the FFA has panicked over dwindling attendances and TV ratings. The question remains: is signing marquee players a good idea or not? I think the A-League needs them. But with so few funds available, it’s clear any potential signings will be moving here for the lifestyle and not the money.